If you are not yet sending newsletters to your subscribers, then you are losing a great opportunity to interact with your customers and increase their loyalty to your business. Email newsletters are important in building lasting relationships with your existing customers so that they can continue buying from you and help you grow your business. Newsletters provide you with a direct channel to access existing clients and the potential customers whom have shown interest in your products or services. You can use newsletters to pass across specific messages to make the subscribers become more familiar with your brand to increase their chances of purchasing from your or being repeat clients. You can also use newsletters to reach your subscribers very quickly whenever you have anything to share with them. The more people get your newsletters the more your brand gets ingrained in their minds. It becomes even more effective if you send out newsletters with specific solutions to the particular problems bothering your subscribers. With time, they will recognize you as an authority in the field and will be more likely to purchase from you compared to your other competitors who have nothing else to offer to them. Newsletters will also give you a good exposure in the event that you are launching a new brand and you would like to get the word out there to your subscribers. When you provide real value to your clients via newsletters, they will enjoy reading your emails since they always look forward to some quality and informative content. The authority you create will help them develop a loyal following for your brand or products hence they will be open to purchasing or buying from you compared to the rest. Having a large list of passionate subscribers is like having a Push Button Traffic to your website. This is because you are in total control of the list and you can send them emails whenever you want to, so long as you don’t spam them. Again when you send newsletters, you are always free to include links to various sections of your website where you would want them to visit. 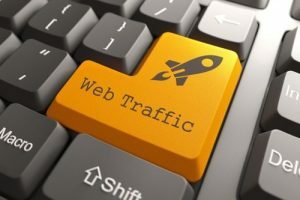 This is free and targeted traffic. The cost of delivering a newsletter to your subscribers is relatively affordable compared to other modes of marketing. Perhaps the only difficult part is building a good base of subscribers to send the newsletter to, but once this is done, everything becomes a breeze. 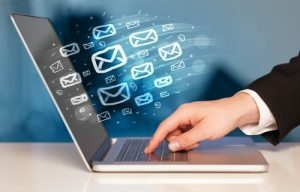 The other benefits of using email newsletters include increasing your business exposure, they are efficient selling tools, save time and expenses and you can also customize the message for better results.